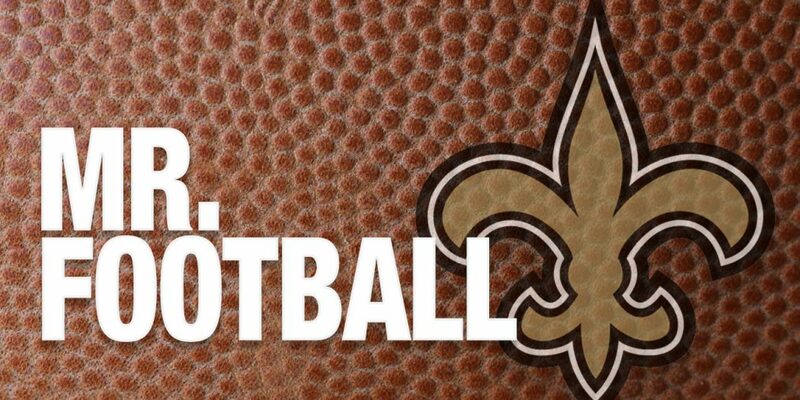 Six players — one from from each MHSAA classification — were selected Wednesday, November 7th as Mississippi Mr. Footballs for the 2018 season in a partnership with the New Orleans Saints, Mississippi High School Activities Association and the Mississippi Association of Coaches. Turner, a 6-0, 185-pound senior running back, has rushed 79 times for 1,219 yards and 12 touchdowns as the three-time defending 1A champion Blue Devils, 11-0, have stretched their winning streak to 51 games. Keyes, a 6-0, 190-pound sophomore quarterback, has completed 180 of 266 passes for 3,204 yards with 36 TDs and 6 interceptions for the defending 2A champion Tartars, 12-0. Jefferson, a 6-3, 225-pound senior quarterback, has completed 138 of 219 passes for 2,499 yards with 31 TDs and rushed for 818 yards and 7 TDs for the Cougars, 10-1. Allen, a 5-11, 185-pound senior quarterback, has completed 83 of 141 passes for 1,480 and 21 TDs and rushed for 852 yards and 11 TDs for the Tigers, 10-1. Dean, a 6-1, 220-pound senior linebacker, has 134 tackles, 22 tackles for loss, 6 quarterback sacks and 3 interceptions for the Eagles, 11-0. The Mr. Football selections from Class 6A, 5A, 4A, 3A, 2A and 1A will be recognized at a banquet in Hattiesburg on Thursday, November 29. The Blue Cross and Blue Shield of Mississippi Gridiron Classic State Football Championships are set for Nov. 30 and Dec. 1 at M.M. Roberts Stadium on the campus of the University of Southern Mississippi in Hattiesburg.